Ready to update your old TV cabinet or stand and get it mounted to the wall with all the cables hidden? Maybe you’d like to also upgrade the TV’s sound to some nice speaker towers or even speakers hidden in the wall or ceiling. Whatever the extent of modifying, upgrading or customizing may be, we can aid you in doing so. There is no part of your family room we can not help you with. 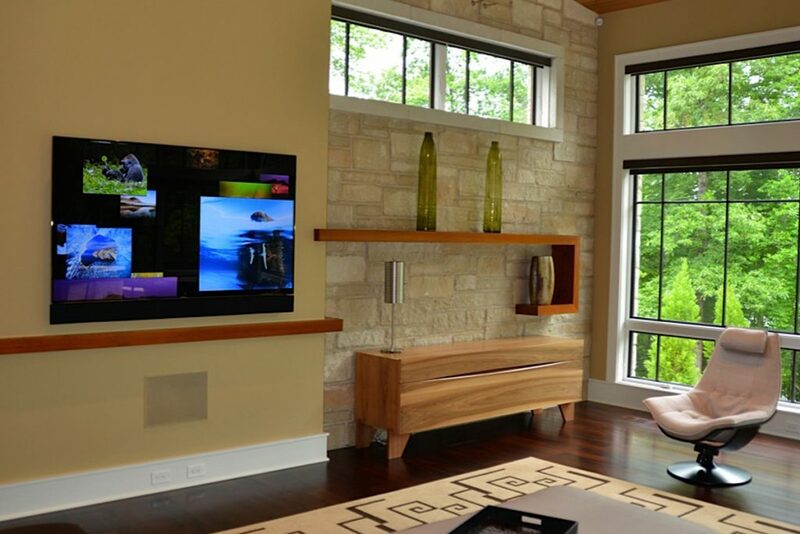 We offer much more than just TVs and speakers, from automated shading to custom furniture. Then be able to control all of it from a single remote, or even, your own cellphone or tablet. Automation and integration has come a long way and now it is possible to control pretty much everything from your phone or tablet like your TV, stereo, lighting, thermostat, security or even your garage doors. Products like Control4 make this possible in an easy, simple to understand and use format.